We've discussed the push within North Korea to "earn" foreign currency. When it comes to earning through narcotics trafficking, most of the heavy lifting is done by North Korean diplomats, operating under diplomatic cover - with full diplomatic immunity. Movement of physical narcotics is managed through the use of a diplomatic pouch or occasionally by North Korean merchant shipping. Successful earning is the pathway to success in the worker's paradise. More recently North Korean diplomats in Mexico were found to have purchased 200 kg of cocaine from Cártel de Jalisco Nueva Generación (CJNG), also known as the Guadalajara Cartel. The narcotics were shipped to North Korea in a diplomatic pouch, presumably for the private use of party elites. As one official from Centro de Investigación y Seguridad Nacional (CISEN) told a source close to Virtual Mirage, "That should be one hell of a party in the Party." Source asked CISEN whether or not the North Korean diplomats paid with high quality counterfeit US currency. Source hasn't heard back. Officially, Party members do not partake of narcotics. Privately, things may swing another direction. The United Nations has given North Korea a Tier 3 rating when it comes to human trafficking. 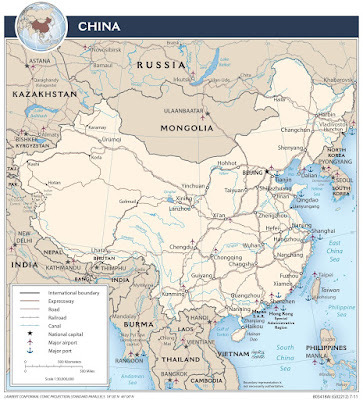 The map of China (right) graphically demonstrates the strategic location of all Korea to Beijing and Shanghai. The large US military presence on the Korean peninsula has been an ongoing irritation since the 1950's. More recently, the addition of the THAAD anti-ballistic missile system in South Korea has damaged their chi. In the past they felt that the way forward called for supporting the North, but all that has fallen out of balance with Kim Jong Un and the nuclear weapons and ballistic missile issue. A nuke on a missile, fired by the North Koreans, is as likely to hit Beijing as it is to hit Japan. The North Korean propaganda machine has been so virulent and they believe their own spew to the point where rationality is something that they can't understand. Chilling relations between China and North Korea are becoming more evident. It's North Korea's game at this point and they can choose how it ends. The Korean People’s Army (KPA) celebrated its 85th anniversary today. Reuters reported that North Korean forces staged a massive live-fire artillery demonstration at a military base near Wonsan. The Party daily, Rodong Sinmun, reported, "There is no limit to the strike power of the People's Army, armed with our style of cutting-edge military equipment including various precision and miniaturized nuclear weapons and submarine-launched ballistic missiles." All open source news services reported that only conventional weapons systems participated in the display. According to the Daily NK, North Koreans in the China border region were disappointed that China did not send a delegation to North Korea on Kim Il-sung’s birthday on 15 April. They interpreted that as a portent of difficult times ahead. This is the first credible report that did not send a delegation to Pyongyang to honor Kim Il-sung. The Chinese Foreign Ministry press spokesperson has been asked on multiple occasions whether China sent a delegation to watch the North Korean military parade on the 15th. The spokesperson always replied that China and North Korea are friendly neighbors. The two sides always maintain friendly exchanges. On 24 April, the spokesperson was asked whether China sent a delegation to watch the military parade. The spokesperson again replied that China and North Korea are friendly neighbors. The two sides always maintain friendly exchanges. A Chinese official snub of Kim Il-sung’s birthday means that relations with North Korea are extremely strained. If the Chinese also boycotted the KPA anniversary, relations might be at an all-time low. 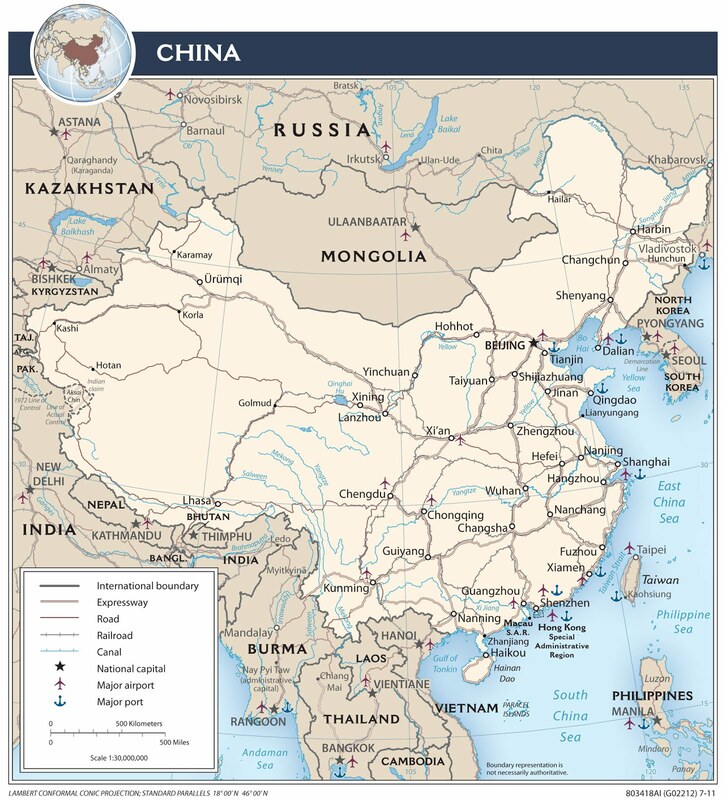 The editorial restated themes from an earlier Chinese commentary that the North Korean policymakers are misreading their situation and that they have overestimated their strength and underestimated their peril. The message is that UN sanctions and Chinese enforcement actions are not directed at overthrowing the North Korean government and system. They are designed to persuade North Korea to halt specific programs that China opposes. 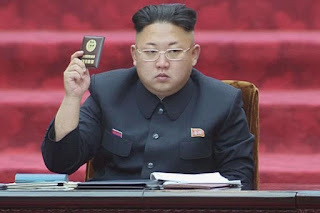 Kim Jong Un personally identifies with the missile and nuclear programs. Chinese advice and wisdom probably are unwelcome and, thus far, unheeded. At the same time the Chinese are exerting more pressure during this confrontation – including sanctions enforcement and use of blunter, more critical language -- than in any past crisis. You can make of this what you will. This blog does not tell you how to think or what to think, but simply provides the information with a little analysis that may or may not be correct. I don't think that anyone can tell you how this will end. Doing that would require that we crawl into the muddy, mushy minds of the power elite who rule North Korea and into the mind of the fat, near-sighted Dear Leader, bad haircut and all. China likely has spies close to the throne. Their reaction tells us things that we may not have direct knowledge of. All that is disturbing. China has repeated to the US that North Korea is their problem and that they will deal with it. President Trump said that North Korea is China's problem and that they should deal with it. China is praising President Trump for impressive patience and agreeing with China. Things are coming to a head with the Norks.